Join us for the final performance of the BxMA CoLab Commission of The D.O.M.E. Experience – a jazz chamber orchestra production, including live spoken word, dance, and cinematography. Click here for more information, and to RSVP. 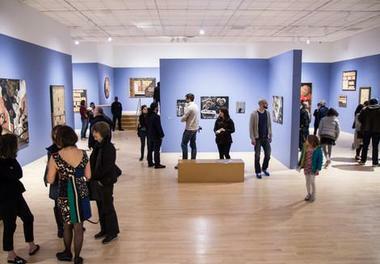 The Block Gallery is home to the Bronx Museum's AIM artist training program. Featuring private meeting spaces, studio facilities, and exhibition space, the venue provides crucial infrastructure to promote the creative growth of AIM artists. 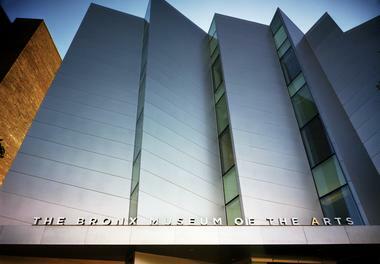 The Bronx Museum of the Arts is a proud partner of the IDNYC initiative! We are one of the 33 cultural intuitions that offer a one-year free membership to all IDNYC holders. Sign up today!